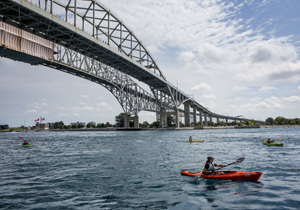 The blue waters of Lake Huron flowing into the St. Clair River beneath the Blue Water Bridge form the signature visual of this international border city. 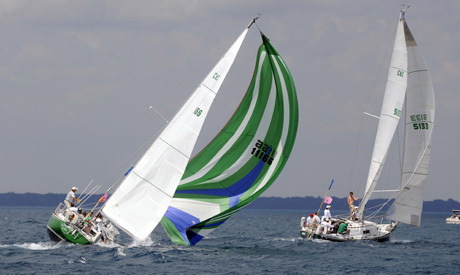 Port Huron has something for every kind of water enthusiast: Since 1925, Port Huron has been home to the launch of the annual Port Huron-to-Mackinac Island Sailboat Race. Later in the summer, the bigger, faster boats take to the St. Clair River for an international offshore power boat race. Other enthusiasts gather for the Port Huron Float Down, a wave-powered trip down the river aboard inflatables that attracts thousands. 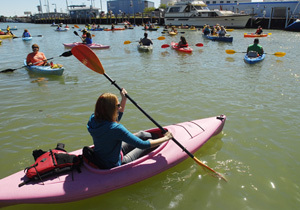 Kayakers, paddle-boarders and other paddlers rave about the Island Loop Water Trail, a first-in-the-nation attraction. And anglers are just minutes away from world-class fishing for walleye, perch, muskellunge and other species. 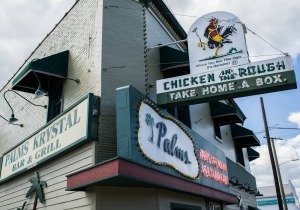 The town has a laid-back, up-north feel. Minor league, high school and youth hockey is a big thing. Port Huron is home to the International Silver Stick Finals, which brings the absolute best youth hockey teams — and past, current and future NHL stars — to the city’s McMorran Place civic center for top-level competition every January. The city’s recreational softball leagues step off the field several times a summer so Port Huron can host national and international softball championships. 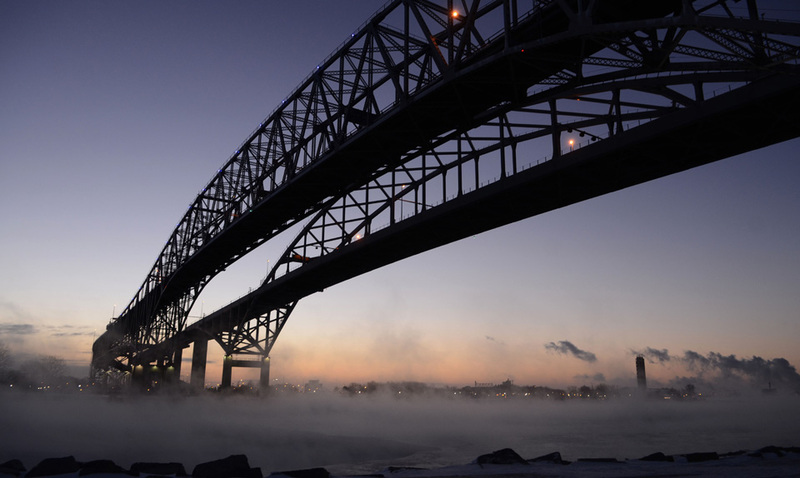 Port Huron has a vibrant running community, and the YMCA of the Blue Water Area’s annual half marathon is considered one of the most beautiful in the Midwest. Many beautiful historic homes and churches remain in the city's Olde Town neighborhood, including Craftsman, Queen Anne, Victorian and Italianate house styles, among others. 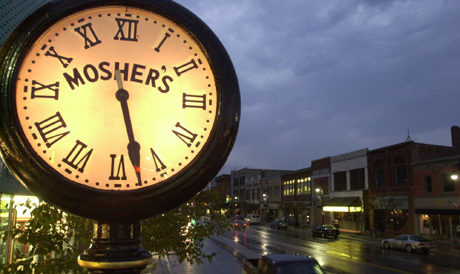 Downtown Port Huron is home to specialty shops, restaurant and craft breweries. New loft developments downtown plus an enthusiastic and growing restaurant, bar and craft brewing scene attracts an international audience seven nights a week. 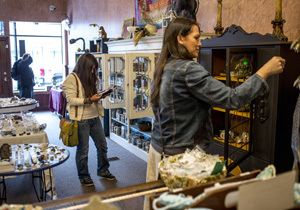 The local economy benefits from border traffic tourism, but the city struggles economically with many residents occupying service, healthcare and manufacturing jobs in lower wage tiers. The town includes two mid-ranked high schools, Port Huron High School, home of the Big Red Marching Machine, Port Huron Northern, home of the Huskies and a highly-ranked public charter high school. As the St. Clair County seat, the city is home to municipal government and court buildings. 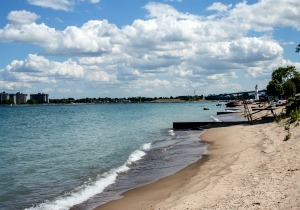 Port Huron is where residents from throughout the region come for medical care. With two well-regarded hospitals in town with recently opened, $25 million Karmanos Cancer Center and a third hospital south near St. Clair, patients and doctors agree there is no reason to seek care anywhere else. 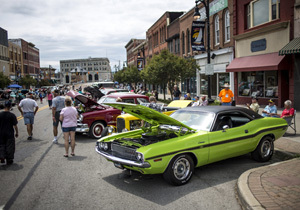 The town also features the Port Huron Civic Theater, a fall film festival and International Symphony Orchestra of Sarnia, Ontario and Port Huron. The area is served by St. Clair County Community College. The border crossing averages 14,000 vehicles per day, with a significant amount of truck traffic. Casual, working-class, families with young children, seniors. Affordable, wide range of styles and price points, good inventory of older and well-kept homes. Relaxed, influenced by outdoors and the Great Lakes. An active community that enjoys hunting, hiking, kayaking and other pursuits. Water views, vibrant downtown, community feel. This is a place where people know each other by name. A slower pace of life, putting down roots, enjoying the Great Lakes, raising a family. Discover the wide range of homes in the Port Huron and Blue Water area, a laid-back and family-friendly community! Port Huron is a great city on a Great Lake, and takes advantage of its location, location, location with many water-related amenities, including numerous public beaches, waterfront parks, marinas and the Fort Gratiot Lighthouse. Historical attractions include the Thomas Edison Depot Museum, an homage to the inventor who grew up a Port Huron native, inside the Grand Trunk Railway Depot where the inventor-to-be worked selling newspapers in the early 1860s. The Huron Lightship Museum in Pine Grove Park recounts some of the city’s rich maritime history, as does the Fort Gratiot Lighthouse, the oldest on the Great Lakes. Outdoor attractions include the new Blue Water Riverwalk trail, the Blueways of St. Clair paddling trail network and easy access to fishing and boating.